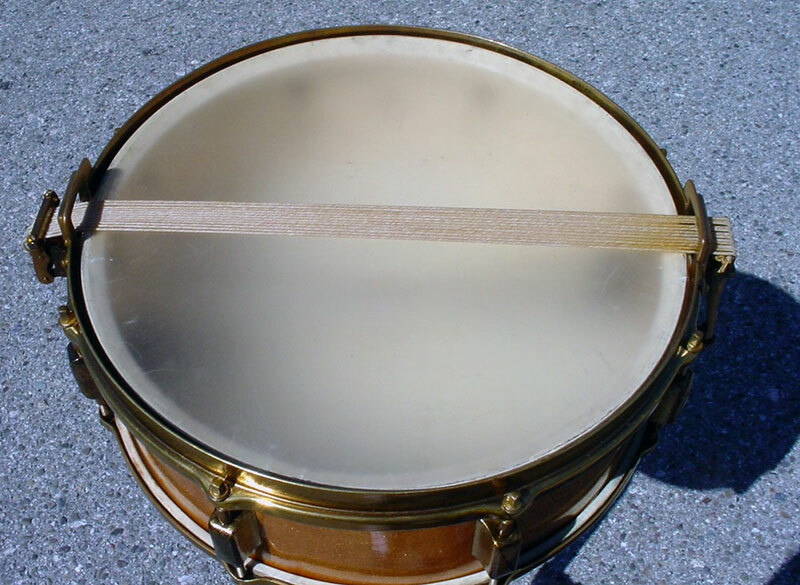 Here’s a snare drum that I purchased at the 2014 Chicago Show from Brian Drugan of Drugan’s Drums. 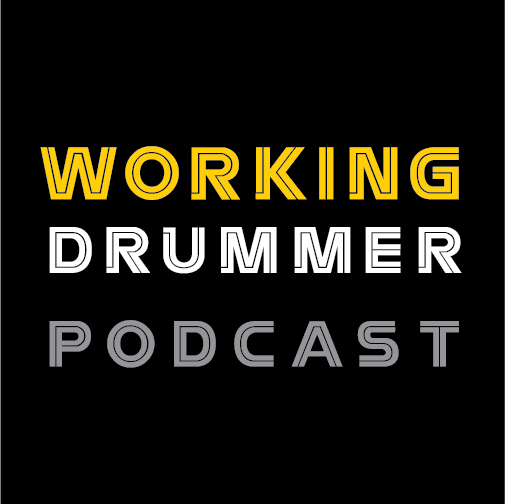 First generation Leedy Duals are fairly scarce, nothing earth shattering here but this drum did have something cool that I’ve never seen or heard of before. 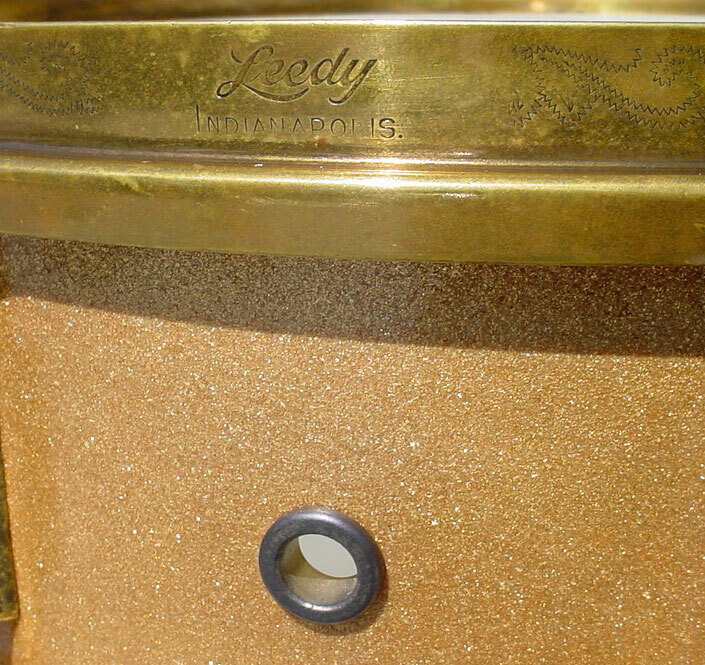 I always considered the Leedy Gold Sparkle finish to be the best of any drum company from that era. To me it looks like gold flakes floating in oil. The finish on this drum needed some cleaning and polishing but after a few passes with my Maguire’s#17 cleaner and #10 polish I was able to bring the finish back to life. The white interior needed very little cleaning. I did notice that there is a metal grommet instead of a wood grommet...see photo. 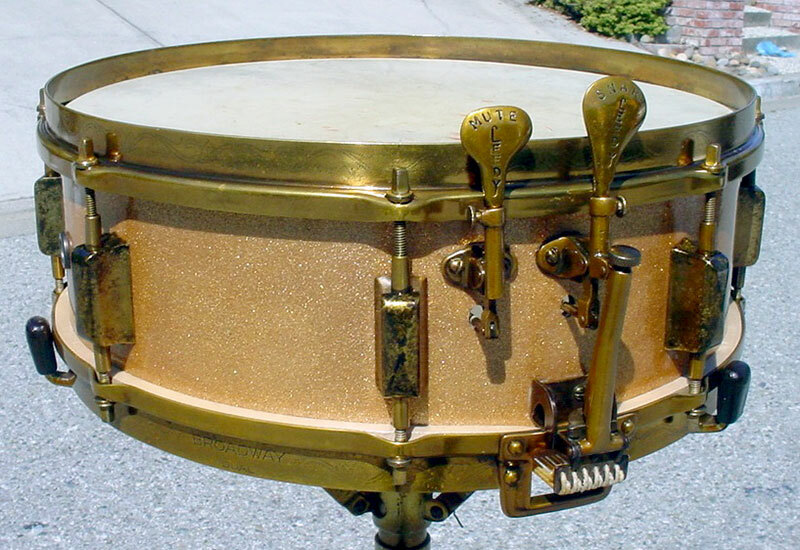 The Nobby Gold finish was pretty worn all around the drum but in a good way so I just cleaned all of the hardware and gave everything a light coat of gold lacquer just to preserve the finish even more. 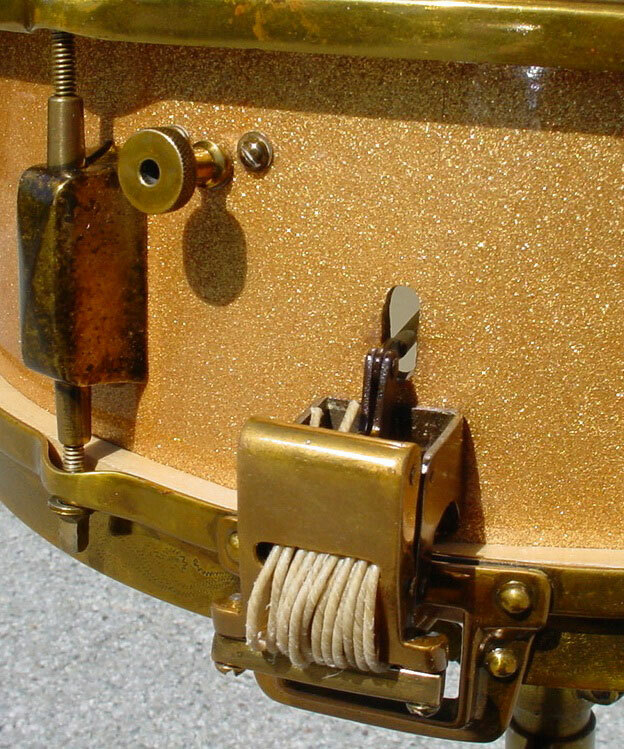 The box lugs were chrome, an obvious mismatch but I guess there was the possibility that one could have ordered chromium lugs as an option as we have seen on Slingerland drums of the same era, e.g. I own a few Slingerland wood shell and nob drums that have nickel hardware and chrome lugs. Still bugs me but that’s what it is. 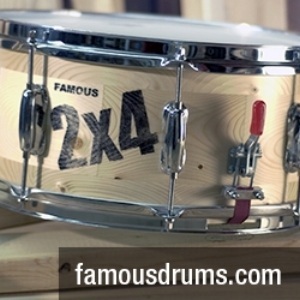 I haven’t seen that scenario on any of my Leedy snares or others that I have seen. Back to the Leedy lugs. I took the lugs to Les at Avenue Plating so he could strip the chrome and “antique” the lugs to match the rest of the hardware. Les came through once again so all is good and everything matches as it should. Four of the 10-24 square head tension rods were not correct so I found 4 in my parts stash but they were too long so I had my trusty machinist/welder Abe Abello of Weld-Tec do his magic. He matched everything perfectly. I did notice that the internal linkage for the bottom Parallel mechanism is brass while the top Dual internal mechanism is steel. I also noticed that the attachment screws for both mechanisms are smaller than 6-32 and bigger than 4-40 so I’m guessing 3-37. Now for the cool part. 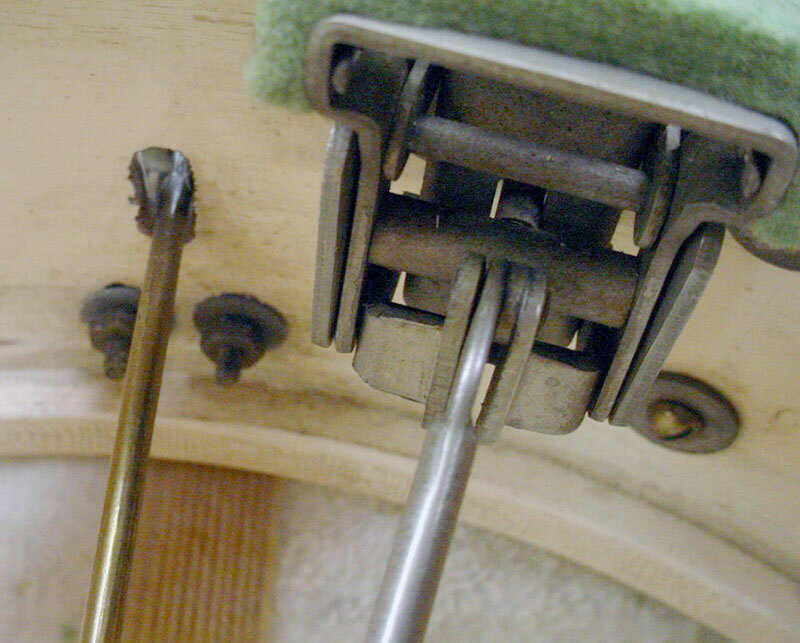 Instead of the Leedy “spoon” extension levers that we all are accustomed to seeing on 1st generation Leedy Parallels and Duals this drum has Leedy “paddles” that are used as extension levers for the Parallel mechanism and the Dual mechanism. 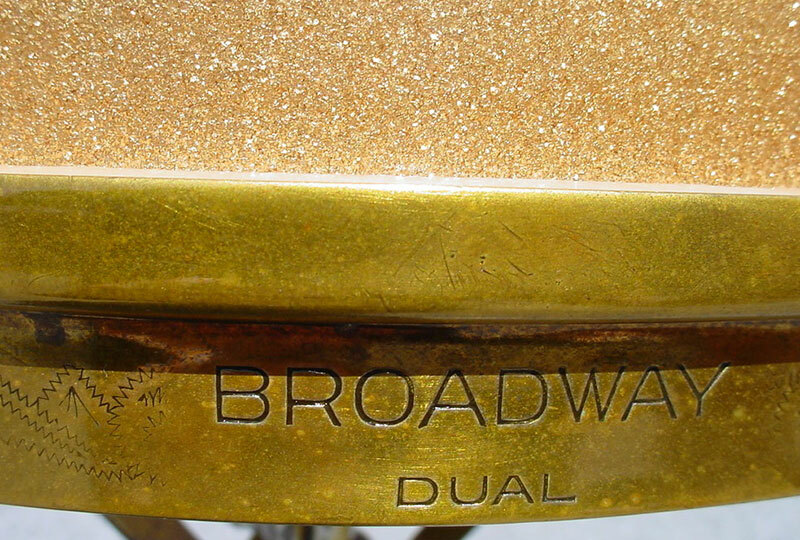 You can see the Leedy logo on both paddles as well as their function; Snare for the lower Parallel mechanism and Mute for the upper Dual mechanism (L&L used the name Sensitive for their upper mechanism). 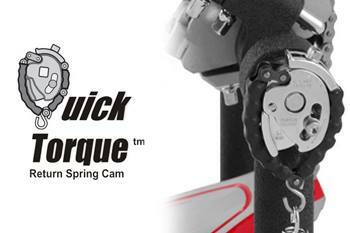 The obvious question is...were these paddles a special order or a factory option? I have not seen anything in the Leedy catalogs other than the spoon extension levers. As always I invite you to weigh-in with your ideas or similar situations. The gut snares look of-the-era but notice how they are attached to the lever side...man that’s a lot of tedious work and patience. I finished off this restoration with some of-the-era Leedy HARDWHITE calf heads.